Round, multi-facets, crystal award paperweights. The signature round crystal paperweight can be engraved with your logo, or heartfelt message of recognition to employees. This optic crystal paperweight represents quality and value, and is a gift of distinction and acknowledgment. It is also a great custom desktop display gift that will be appreciated by the owner and guests. 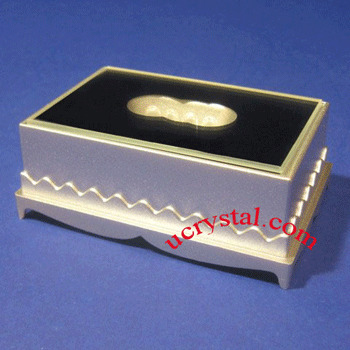 The engraved crystal award paperweight comes with a beautiful gift box for your convenience. You can also order an optional light base to go with it. multi-facets, different facets on front and back (DFB) without base. Size: 4" width x 4" height x 1" thickness. The engraved crystal is best viewed with a dark background, or on a lightbase.